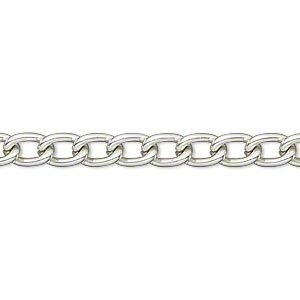 Chain, silver-finished brass, 9mm curb. Sold per pkg of 5 feet. 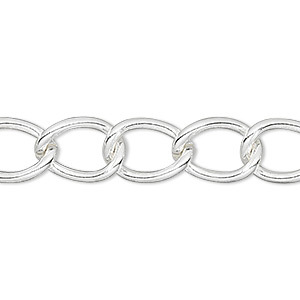 Item Number: H20-1961CH Have a question about this item? 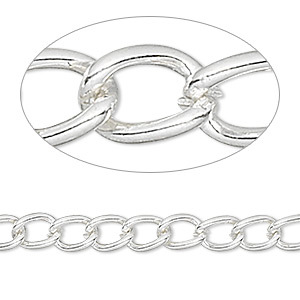 Silver-finished twisted cable chain in economical 5-foot package. 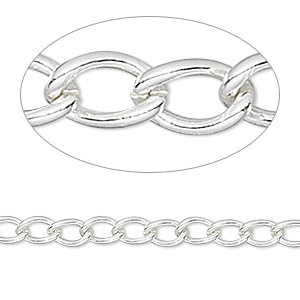 Use as much as you need--cut the chain to your desired length for each project to create multiple necklaces, bracelets and earrings. 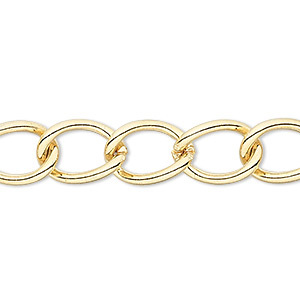 For super-chic style--layer the chain, mixing gold and silver, and add charms and beads. 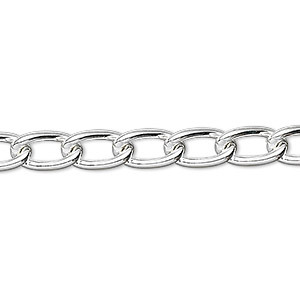 Chain, silver-finished brass, 9mm curb. Sold per pkg of 50 feet.